Think protecting Your IP will save you? Think again. Think protecting Your IP will save you? Think again.. In 1998, Keurig introduced the K-Cup. The company’s goal was to standardize the quality of coffee, letting people in homes and offices everywhere brew stuff that consistently tasted good, one cup at a time. It was smart, innovative and useful for millions of people, and Keurig was rewarded for that with a successful, rapidly-growing business. While Keurig struck lucrative licensing deals with companies like Starbucks to sell branded K-Cups, the company’s patent expired in 2012, and lots of independent coffee companies began selling K-Cups for Keurig’s machines. As you’d expect, this cut into Keurig’s sales. So what did the company do? Last year, they announced a new “2.0” machine that would replace the old ones. Among the features of the new machine? An IP protection “enhancement” that essentially DRM’s K-Cups. Simply put, the new machine wouldn’t accept K-Cups not produced by Keurig. 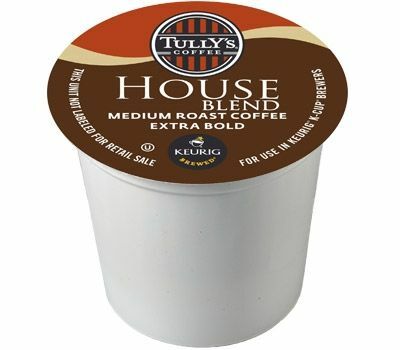 What’s more, the new machine wouldn’t even accept K-Cups that were produced by Keurig for their previous brewer models. Keurig’s customers didn’t take this well. Indeed, the 2.0’s Amazon reviews overflow with caffeine-deprived fury, the idiosyncratically capitalized wrath of people who bought 2.0 machines only to find that their old cups don’t work. "Talk about GREEDY corporate ridiculousness," said one guy who tried to use his refillable pods. "On principle alone, I hate that they are dictating which coffee I'm using in my machine," said another. "It is a HUGE SHAME that the company decided to remove the ability to use your own coffee grounds in the home brew k-cup. ...They should have just said we made these changes so our products would sell more so we could make a bigger profit," reads a typical review. "They took a potentially killer machine and added horrible DRM - a rights management system, in the greedy attempt to get all other coffee pod manufacturers to pay them so their pods work," reads another of the hundreds of one-star reviews. Many lamented the ability to give no stars. If you Google "Keurig 2.0," the first thing that autocompletes is "hack." IP protection amounts to what is essentially a security blanket. It gives you a sense of being protected, and it feels nice, but the sense of security is a false one. The minute you put your product into the world (and often before), others will rip, clone and improve on what you’ve built. Sure, you could try to protect your IP through legal channels, but this is not only expensive, but it almost never prevails in the long run because it just makes your customers angry. Those customers then become your competitors’ customers. One of Keurig’s big mistakes with K-Cups was failing to continue giving their customers a reason to stay loyal. Instead of innovating, coming up with new ways to add value, or build better relationships with their users, they built a product whose patent was a ticking time bomb, and sat on it (their other “innovations” have been largely reactions to competitors’ products). Once the patent expired, customers had no reason to keep giving Keurig their business. Who knows what would’ve been if Keurig had focused on creating (or acquiring) the very best K-Cup coffee in the world, so that customers would want to buy it directly from them. Or on delivering better value than the competition in other ways. We see this in the startup world all the time. Formerly entrenched software companies (especially in the SMB and enterprise spaces) that are now scrambling to play catch-up to leaner, more innovative startups. Don’t get cocky and assume that your product, as it is today, will be good enough tomorrow. Don’t fail to think ten steps ahead. Don’t focus on the wrong things, like IP protection, at the cost of the things that lead to long-term, sustainable growth, like investing in product development and better relationships with your customers. Otherwise, when your IP time bomb explodes, your customers won’t have any reason to stay.